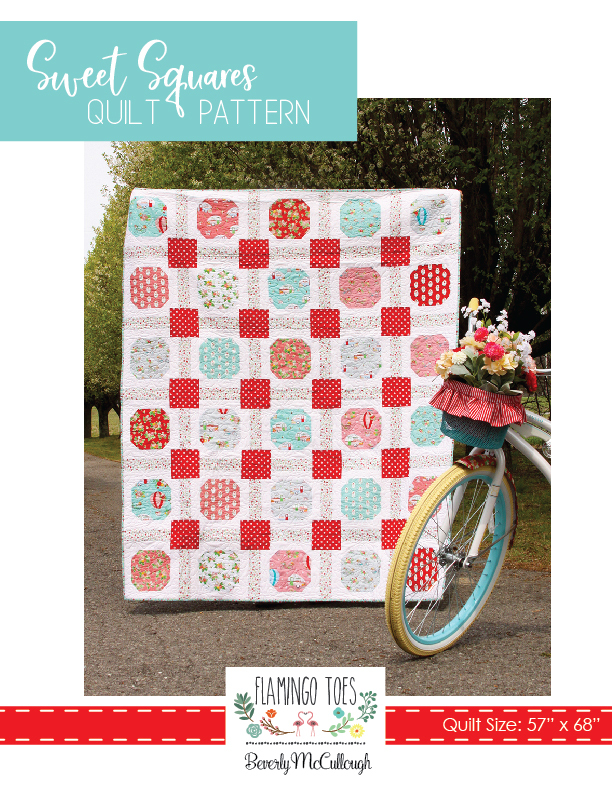 I have a fun new quilt pattern to share with you today! 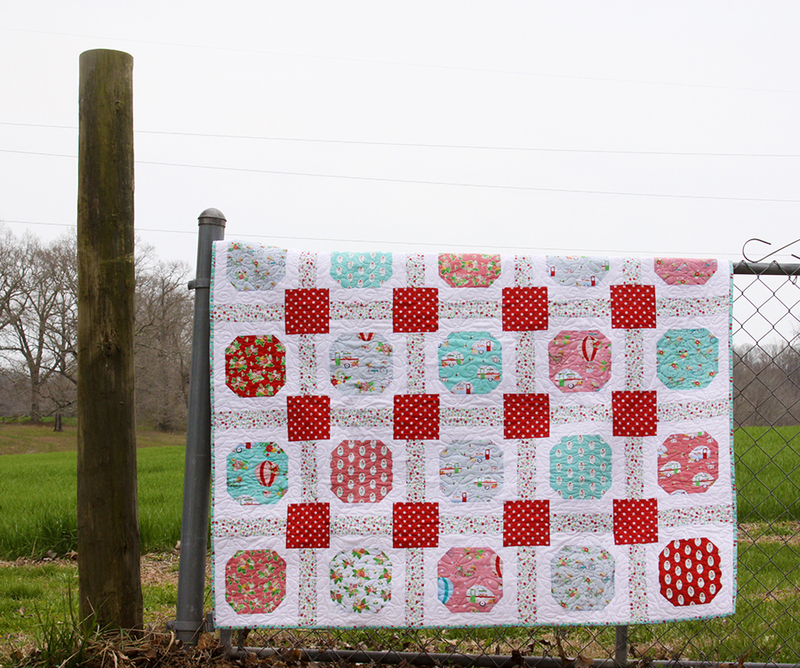 I designed this Sweet Squares Quilt Pattern to show off your favorite fabric prints – it’s great for large print fabrics too! 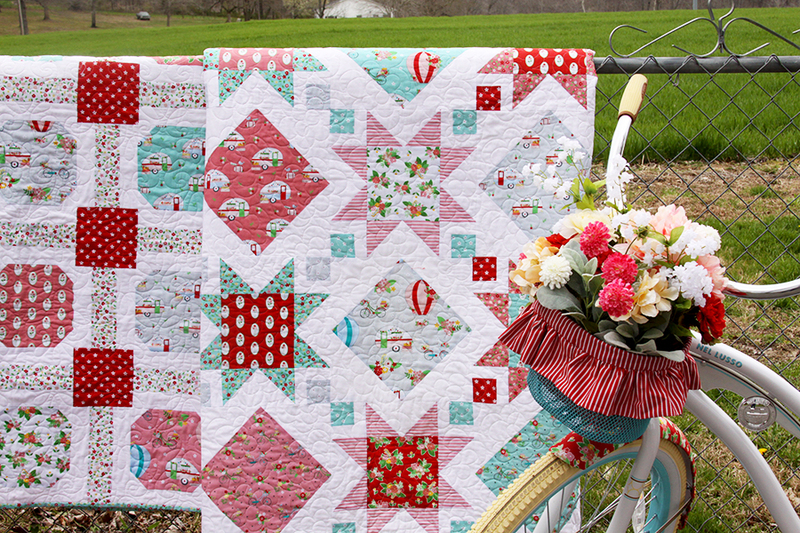 I love how it looks with Vintage Adventure fabrics – you can really see the fun designs. It’s a super fast quilt to sew up too- always a plus for me! I am looking for the fabric for your “Candy “Bloom” quilt. Where can I buy it? Hi Michelle! 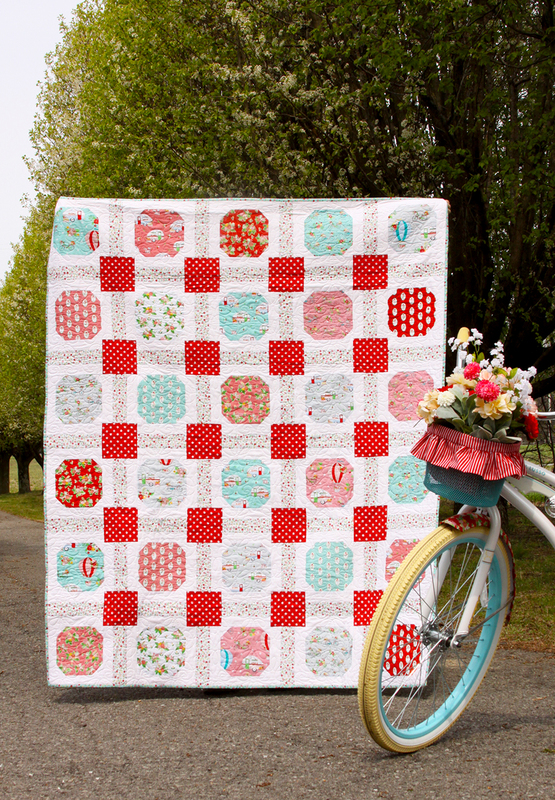 I don’t have a quilt called Candy Bloom – I think that must be from a different designer. Sorry about that!